Have you ever come across a situation where you have taken a walk along a hilly path until you have reached a fork in the road. You are at the" Crossroads ". You have to make a decision on which road to take. Similarly in finance you come across a situation where you would have to choose between a set of alternatives in order to arrive at the right conclusion. This brings to my mind a famous saying" You Are Free To Choose Your Path, But You Have To Bear The Consequences That Come With It ". All choices are easy to make the devil is in the details. You must have come across those insurance salesmen trying to persuade you to take up this life insurance policy or that one. You are thoroughly confused on what to do and which policy to take .Do Not Fret. 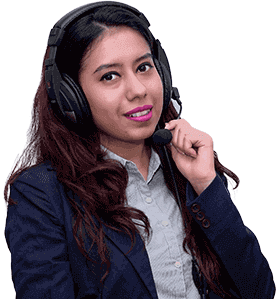 The team of Financial Planners at IndianMoney.com are always there for you to plan your life insurance needs in a most effective and efficient manner. You can explore this unique Free Advisory Service just by giving a missed call on 022 6181 6111. So What Is A Term Insurance Policy? You must be knowing that a term insurance policy is a pure protection policy or a mortality cover without any investment exposure. This policy provides protection for a fixed tenure by giving the sum assured in case of the death of the policy holder on the payment of a premium. This kind of insurance has a fixed time frame which might be 10, 20 or even 30 years and premiums are calculated depending on the age of the policyholder and sum assured. This policy can be got for as less as INR 25 per day and can provide you a protection cover for your family in case of your early demise for as high as INR 40 Lakhs sum assured especially for a young healthy 30 Year old individual. This kind of a policy is recommended mainly for young working individuals who are at the crossroads or just starting their families and do not have much wealth owing to their young age .This kind of insurance provides your family a wealth supplement in case you die young. However the premiums are not returned and are foregone if you survive the term period of the policy. Mainly term policies have a built in feature to convert them into a Whole life policy or a Permanent life insurance policy regardless of a change in the position of your health. So What Is An Endowment Policy? You must be knowing that one of the main reasons why people are not so keen on taking up a term insurance plan is the lack of a survival benefit in this plan. You survive a term plan you get nothing. This prompted the Insurance Companies to come up with a new kind of policy called the Endowment policy. This plan incorporates both a savings component and a protection element. In case of your unfortunate demise the sum assured as well as the accumulated bonus is paid to your nominee. In case you survive the tenure of the policy the sum assured as well as the accumulated bonus is paid to you. This kind of policy has a higher premium than the term insurance policy as there is a savings component .You must be knowing of a special plan called the Unit Endowment Plan. Here part of your premium paid is allocated towards the insurance component and the rest in invested in the units of the Unit Linked Endowment Policy depending upon the Net Asset Value of the policy. These units invest in money market instruments, Government Bonds and Equity Shares in the requisite percentages as specified by you and also taking note of the premium. The profit obtained due to appreciation of these units is used to pay your bonus. The age of entry in these kind of policies is around 7 years with the maximum permissible age allowed to enter this policy being 60 Years. These could be Single premium or Regular Premium based Endowment policies. The premiums range from INR 20000-100000 per annum for these policies depending on the age as well as Sum Assured of the policyholder. The maximum sum assured can be 25-30 times the annualised premium for age of entry up to 45 Years. These policies also incorporate a Critical Illness Rider where the policy pays out the sum assured as well as the bonus amounts when the policyholder suffers from a serious ailment. An extra premium might be charged for the Critical Illness Rider. So How Does The With Profit Endowment Plan Work? You must be knowing that under this kind of a policy part of the premium paid goes towards the insurance cover and the rest of the amount is invested in shares, real estate or government bonds. The insurance component depends upon your age, gender or the time period of the Endowment policy. The profits of this policy depend upon the value of shares and the other investments. The profits of the whole pool minus the costs of running this policy are given to you as a bonus. These policies guarantee to pay you a certain amount. You will incur high surrender charges and penalties if you surrender this policy early. Why Is Term Life Better Than An Endowment Policy? Mr Sandeep a male of 28 years of age invests in an Endowment policy with a 30 year tenure paying a premium of INR 30000 per annum. The sum assured is INR 10 Lakhs per annum in case he dies before the tenure of the policy. The policy yields a sum assured as well as a bonus amount of INR 25 Lakhs after a period of 30 Years. Let us calculate the rate of return of this policy over a time frame of 30 Years. Let us use the Annuity Formula to calculate the return on investment. Future Value = Present Value * [(1+r) ^ n – 1.0] / r] * (1+r) 2500000 = (1+0.050) ^30-1)/0.050)*(1+0.050) The L.H.S and R .H.S are almost equal. Therefore r= 5.0% The value of r which satisfies both the equations is 5 %.This means that return on investment made from an Endowment Policy is just 5.0% which is too low. The reason why an investment in the Endowment policy is preferred by people is because of the insurance cover provided by this policy. However this amount is very less and cannot provide sufficient coverage or financial protection to the dependents of the policy holder. If Mr Sandeep survives for the tenure of his Endowment policy he will get a sum assured of 10 Lakhs and maturity benefits of INR 25 Lakh, basically a return of 5%.Thus at the end of 30 Years or when Mr Sandeep is 58 Years of age he gets an amount of INR 35 Lakhs Consequently if he doesn’t survive the term of the policy returns are subsequently lesser than 35 Lakhs. Let us consider a conservative investor Mr Ramesh who is 28 years of age has taken up a term insurance policy mainly for mortality cover as well as protection cover. He also has a corpus of INR 30000 for investment. His premiums are INR 7500 per annum for a Sum Assured of INR 35 Lakhs in his level term insurance policy. The time period for this level term insurance policy is 30 years. If he survives the full tenure of the term insurance policy he would not get the sum assured as this policy provides zero survival benefits. He invests the remaining sum of INR 22500 per annum in a debt instrument mainly a Public Provident Fund which gives a rate of return of 8.7% Compounded Annually. This translates to a net return after 30 Years of INR 31.5 Lakhs. If he survives the tenure of the term policy he will get INR 31.5 Lakhs .However if he were to die at the age of 43 Years he would get the sum assured of INR 35 Lakhs of his term insurance policy and a sum of INR 7 Lakhs from the PPF Account. This is a net total of INR 42 Lakhs. Here we notice that the term policy combined with a debt investment component gives a return higher than the Endowment policy .However in the long term especially if Mr Ramesh survives the 30 Year tenure Endowment policy is better. In India Insurance is viewed as an investment and not as a mortality and protection cover. This attitude makes term insurance less popular with the younger generation who are not willing to swallow the fact that if they survive the tenure of the term policy they will get nothing for it. This attitude forces them to take up an Endowment policy which might not be the right thing to do at this age .In order for an Endowment policy to give real returns one needs to stay invested in it for a very long time. Term insurance is the cheapest form of life insurance and in combination with a debt or an equity instrument can give massive returns over a very short period of time. The term insurance policy is best suited for a young individual at the start of his career and becomes a wealth generating option for his family in case something untoward were to happen to him. The term policy can be converted into an Endowment policy with the passage of time especially if a convertibility option is present in these plans. The term insurance plan is very essential for a young working person who has taken a home loan as his family would not be able to bear the liability in case of his early demise. Always use the split option in the term insurance policy .If you take a term insurance policy at the age of 25 Years with a time period of 25 years then at the age of 50 years you would need a new term policy. The premiums at this age would be extremely high and if your health is not too good you might not even be able to procure a term plan. The best option is to procure another term plan at the age of 35 Years which would expire after 25 Years or when you are 60 Years of age .This provides you with a term cover across your working life. I would like to end this article with the famous saying " Insanity Is Doing The Same Thing Over And Over Again But Expecting Different Results ". You need to remember in an investment decision to choose the best investment option from a series of options available to you.